My kind of image - 9 from me. I would like a little less on top and the same amount more on bottom. It feels crowded at the bottom. 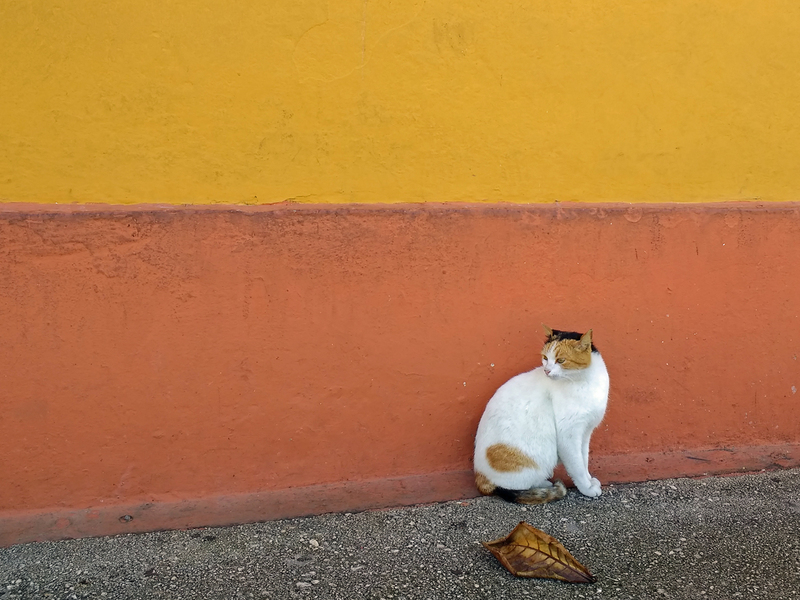 This is a photo of echoes, the cat, the leaf, the wall, all echoing each other. Wonderful composition and color....it works! Proudly hosted by Sargasso Networks. Current Server Time: 04/18/2019 06:20:01 PM EDT.